Shortly after being detained, arrested, and accused of using videogames to spy in Iran, a U.S. game developer has just been sentenced to death. Amir Mizra Hekmati was visiting Iran this past August when he was detained. He was subsequently put on trial by the Revolutionary Court, which specializes in trials against those accused of trying to overthrow the nation's government. He's just been sentenced to death because he was found guilty of charges that the CIA was paying him to make videogames that would affect public opinion on U.S. policies in the region. Hekmati is a former U.S. Marine who became a game developer and was employed with Kuma Reality Games, working on a variety of titles for the studio. 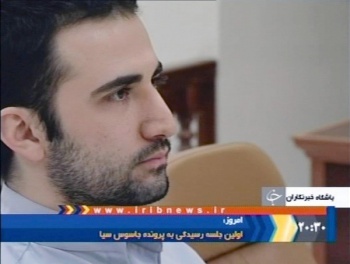 However, according to the Tehran Times, Hekmati allegedly confessed that "[Kuma] was receiving money from the CIA to (produce) and design and distribute for free special movies and games with the aim of manipulating public opinion in the Middle East. The goal of the company in question was to convince the people of Iran and the people of the entire world that whatever the U.S. does in other countries is a good measure." It's no secret that Iranian authorities don't harbor any love for Kuma, based on the company's track record. In 2006, CEO Keith Halper admitted that his company worked on training software for the U.S. Army, but never claimed that any other government organization was backing any other projects. Additionally, one of KumaWar episodes the company created was called "Assault on Iran" and required players to infiltrate an Iranian nuclear facility in order to grab evidence of illegal uranium enrichment and sabotage the country's atomic weaponry. "Allegations that Mr. Hekmati either worked for, or was sent to Iran by the CIA are false," said Tommy Vietor, a spokesman for the White House's National Security Council. "The Iranian regime has a history of falsely accusing people of being spies, of eliciting forced confessions, and of holding innocent Americans for political reasons." Iran's routinely been the country that everyone reads about and does a double-take, simply because the news that comes out of the area is insane. This is the place with a president who told an audience at Columbia University that his country doesn't have homosexuals. It's a nation where the government is at war with itself and the Supreme Leader is having the president's allies arrested on charges of sorcery and witchcraft. Now, it's going to execute a man because he made videogames.